From his time working as the wunderkind pollster for Barack Obama’s 2008 presidential campaign to the launch of his new startup, Elucd, Michael Simon has believed in the power of community feedback. At Elucd, which is graduating from the latest batch of Y Combinator startups, Simon is looking to take the skills he’d honed on the campaign trail and apply them to one of the thorniest problems facing the country today — how to improve policing. “When I saw the challenges around policing and community issues it connected with what I was good at,” Simon told me. Elucd has its roots in an innovation in policing from the late 1980s in New York. It was a time when the city was facing a skyrocketing murder rate (roughly five murders a day in 1985) and a call for vigilantes like Bernie Goetz to take matters into their own hands. That’s when Jack Maple began mapping crimes on New York subways. 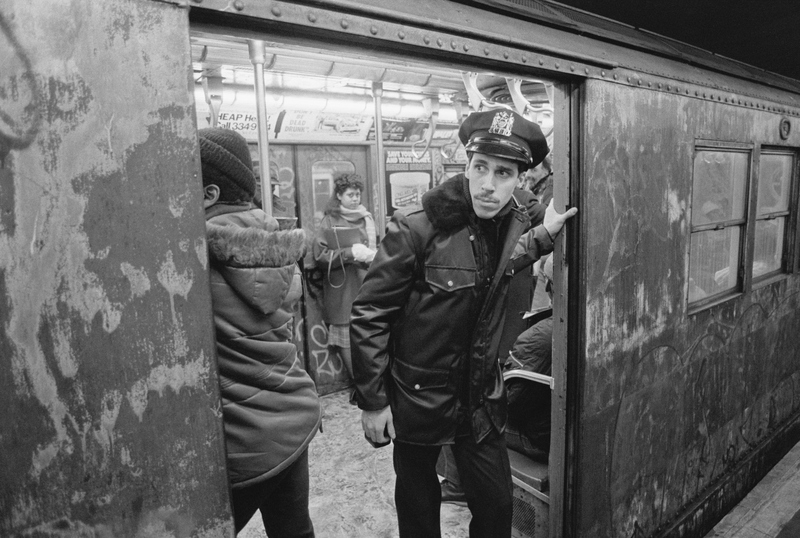 A transit officer patrolling what cops in the city called “the caves,” Maple rode the rails of New York’s subways using his down time to take an analytical approach to determine where crime was highest in an effort to help the NYPD use their resources more effectively. What happened next radically changed policing in the United States and ushered in the era of big data in law enforcement, with all of the attendant tragedies it has brought over the last three decades of policing. Maple was introduced to William Bratton, a former top Boston cop who’d been brought to New York to become the Chief of the New York City Transit Police in 1990. The introduction would pair Maple’s analytical approach for identifying high-crime areas with Bratton’s acceptance of the then-popular (now-discredited) “broken windows” theory of policing. The child of that union was Compstat, the now-ubiquitous methodology for gauging the efficacy of police departments and determining how best to deploy their resources. It’s not hard to draw a line from Compstat-supported broken-windows policing to the death of Eric Garner a little over three years ago in an event that added fuel to the fire raging over police brutality and the killing of several African American men. But broken-windows policing and big data had a darker side. Some have also accused it of being instrumental in perpetuating and increasing police harassment, misconduct, and the use of excessive force in minority communities. Transit police officer Joe Ehlers checks the platform at a New York subway station, his second night of patrolling the night trains. | Location: Brooklyn Bridge-Worth Street, New York City, New York, USA. For the former Obama campaigner, Elucd could be a way to ensure that as broken-windows policing morphs into community policing, the actual communities that are being policed have a chance to communicate with their supposed guardians. This polling would build off of the work that Compstat had been doing since the 90s, and measure crime and enforcement as they’re perceived by the community at a hyper-local level, Simon told me. 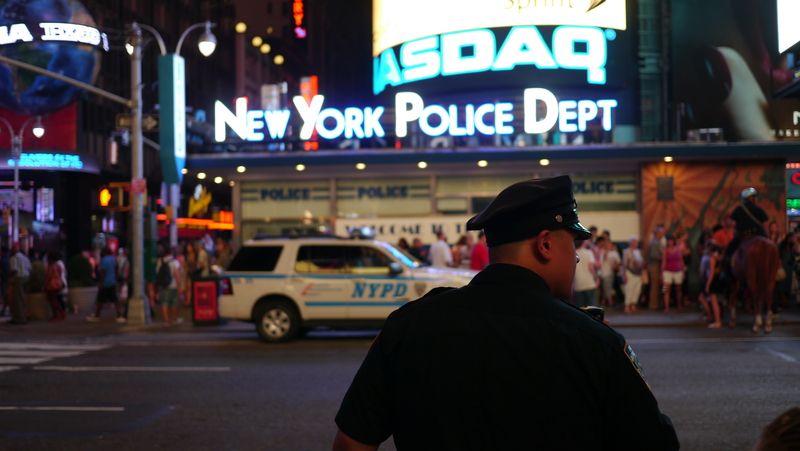 After a 6 month trial, the NYPD was ready to roll it out across the city’s precincts. And contrary to most expectations, the idea of community feedback has been embraced by the NYPD, according to Simon. Elucd conducts its polling using mobile ad buys that crop up in apps like the free-to-play version of Candy Crush. And while years ago, it may not have been possible to get a representative sample from the communities that would ideally provide the most feedback, things have changed. The ubiquity of cell phones makes Elucd’s polling job much simpler, and the sample sizes have reflected statistically significant responses, says Simon. Where this data could really come in handy is with New York’s Civilian Complaint Review Board, but for right now, the data is kept with the NYPD. For Michael Seibel, the Y Combinator partner who shepherded Elucd through the accelerator, there were two things that appealed about the company. Traditional polling, says Seibel, is accurate, but wildly expensive. These new polls that Simon built have radically better response rates and are much cheaper to roll out. For now, according to both Seibel and Simon, the focus remains on policing. “The fact that they’ve got NYPD first, and that’s a model police force for the country… You get them… and it makes every sale after it easier,” Seibel says. Seibel also said, the social justice element of the company’s value proposition was also hard to overlook. “To bring the police department that much closer to its users is huge,” he said. Not all investors agree that cities across the country will find Elucd’s services so beneficial that it will justify what is likely a pretty hefty price tag. With a staff of nearly 52,000 and a budget of $5.2 billion, the NYPD is larger and richer than most other police departments in the U.S. by orders of magnitude. And services that purport to upgrade and make Compstat more responsive (like Spidr Technologies) already exist. However, the opportunity to give police a better window into the communities they’re policing is persuasive.